MIDNIGHT MADNESS = DARK BEFORE THE DAWN? It seems that the Washington Wizards were trying to pump some life into what was a miserable 2009/2010 NBA season. 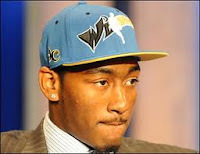 There is the #1 draft pick John "The Great Wall of Chinatown" Wall, a newly focused former "Agent 0" now just call him "The 9" (Gilbert Arenas' "new" jersey and the apartment number when was a young man growing up in Florida) and Andray Blatche playing with his mind as free as his spirit after signing a $28 million dollar extension. The only problem with tonight's "Midnight Madness" is that Mother Nature didn't get the memo, or maybe she sent an omen. The rain cleans the earth just like the new faces of the Verizon Center are stamping a new identity on downtown DC. Let's remember this night as we chomp on our free Chick-Fil-A sandwiches and devour our Dunkin' Donuts. Don't get peeved because we just happen to be in the same division with the Diva Trio of the Miami Heat and the under-delivering but powerful Orlando Magic. Remember "Midnight Madness" and know that next year there might not be any pro football and that we'll add another solid draft choice, if we don't sneak into the playoffs. This is a fun time of year and sometimes it is good not to have the weight of the Redskins on our shoulders. Now let's have a great tip-off to the NBA season! 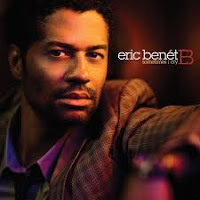 This week around the DC area you'll find Eric Benet in concert at The Birchmere Concert Hall on Wednesday night. The Birchmere has one of the best sound systems in Washington. I know if you are going you'll be able to hear music from his new album "Lost In Time" featuring the hit single "Sometimes I Cry." As you might imagine though the ladies have already bought all the tickets for one of the most gifted performers of this era. The Birchmere has a nice calendar of concerts on the way in the upcoming months! Lizz Wright, Eddie Levert and The Whispers are among the list of musical stars. 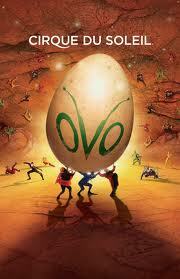 Still on-going Cirque Du Soleil's "Ovo" at the National Harbor. This is a very impressive place to take a date! The show will run until October 24th. I'm hearing more music from Ron Isley's new album "Mr. I." The latest song I've heard is called "No More" and THIS is a Ron Isley song. It's a beautiful mid-tempo song stripped down and very adult. "No More" is Ron Isley not being Mr. Big or sounding like he's getting ready to check into an assisted living facility. It's nothing like the duet I first heard with Mr. I and Lauryn Hill. This is one you'll want to ride with. Also out new this week, songs from Fantasia, "I'm Doin' Me" and Chuck Brown featuring Jill Scott, "Love." Both of these singles are solid and will make for good radio listening. It's so nice when there is music you can just put on your iPod and take with you around the city. There are a few other songs I was trying to get my hands on so I could review them for you, but the record company's didn't come through for me. I'm not sure if this is because they are not too sure of their product or maybe I'm on the snail-mail list. But, watch for my takes on Leela James, "Mr. Incredible Ms. Unforgettable" and Sunshine Anderson, "Lie To Kick It" when they arrive in my in-box. I had a wild dream the other night, the legendary Donnie Simpson and I were hanging out since neither of us are in radio right now. We talked about when we get back into the game, we chipped some golf balls in my backyard (I did say this was a dream right?) All while we listened to some new music that I downloaded (the music if for real). We listened to a couple of interesting remakes. 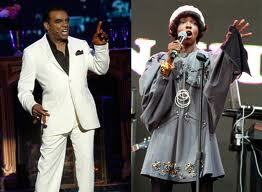 There was the Burt Bacharach classic "Close To You" by Ron Isley singing the duet with Ms. Lauryn Hill from Ron's soon to be released album "Mr. I" on Def Jam Records. When I first listened to this I liked it for the arrangement but the vocals are an acquired taste. I mean, it's good to hear Lauryn's distinctive voice after such a long layoff. Ron Isley's voice is starting to show its age. In my opinion this is for the very mature audience and lovers of classic ballads only. You might have to hunt around for this one on radio unless you can catch it on a show like "The Original Quiet Storm" with Jeff Brown. In my dream I was giving Donnie some golf tips on chipping his ball better and I had to get on his case for almost breaking one of the windows in my house's sunroom. Hey it's MY dream! I can golf better that Donnie Simpson in MY dream! Anyway, next we listened to the next single by Corrine Bailey Rae who has done a fabulous remake of Bob Marley's "Is This Love." This cover has all you would expect from little Ms. Rae, an airy delivery with that small hint of sensuality. It's a very organic, acoustic and anyone with a set of ears could tell, this will be a BIG hit for her! Listen for this track to be released October 12th. 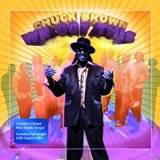 Our Godfather, yes all of us have the same one, Chuck Brown dropped a taste of real DC Go-Go love on us with the help of Jill Scott. It's the first release from his new 3-Disc album called "We Got This." The song is called "Love" and it is that and more! Chuck blessed us with an outdoor "free" concert in downtown Washington, DC on friday September 24th right on Pennsylvania Avenue not too far from the Obama's. Chuck kicked... WIND ME UP, CHUCK!!! Oh, excuse me but the 75 year old did his thing performing "Love" and a whole lot more. Get ready for "We Got This" which includes one studio recorded disc and two discs of the "Godfather of Go-Go's" live performance. 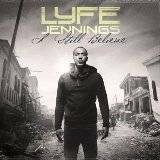 A few weeks ago I wrote about going to an album showcase for Lyfe Jennings and his new CD that some are saying will be his best yet and what Lyfe called his "final" studio album, "I Still Believe" featuring a bonus track called "If Tomorrow Never Comes" that was described by Mark Edward Nero in a album review, on About.com, like "...a man who has a terminal disease or otherwise facing his own mortality." Now we know what Lyfe may have expected when he was sentenced to 3 1/2 years in prison for his role in a 1998 domestic dispute. It should be noted that this is Chester Jennings' (Lyfe's real name) first run-in with the law since serving a 10 year bid for arson. 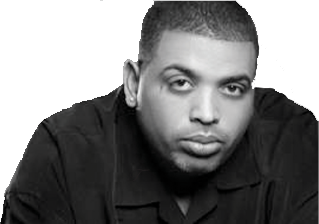 During those 10 years Jennings rediscovered his love for music and began performing. Earlier I was writing about playing golf in my dreams but I could kick myself for not taking part in what I hear was a great event in the real world! Antonio "The Cuban Cigar Smoker," held a benefit golf tournament for the lifeSTARTS organization www.lifestarts.org. My good friend Sherri Warren, owner of Tippy Inc. filled me in (after the fact) that Antonio had just about total participation from his NBA, NFL and entertainment celebrity friends. I look forward to my invitation to play next year Antonio! This is my favorite sports time of year. Pro and college football season is off and running, the NBA camps are getting ready to open and the weather is just right for taking in a local soccer match. Tailgating is a blast at NFL games but there have been polls taken lately which show that people would rather watch football on television but basketball, especially in two of my favorite cities New York and Washington, is more of a social event. 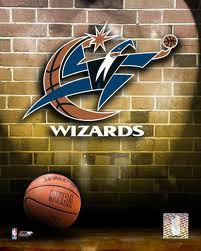 I love being at the Washington Wizards games and even when the team wasn't so good, there was championship Washingtonian watching in the hallways and every other section of the Verizon Center. This year might be rough though with John Wall on the floor and the parade of interesting people in the concourse's. What's a man to do? I plan to attend as many games as I can because I have a feeling Chinatown will be the place to be this winter. It will be even better when the team gets out of those ugly uniforms and back into the Red, White and Blue of the glory days of the Washington Bullets in 2011 (no official pictures yet). Will a name change be next! I hate to end on a sad note this week, but I couldn't go without paying tribute to one of the people who first accepted me when I came to the DC area. Initially Wendell was just a big quiet guy with shaded glasses that would shake my hand and give me a compliment at concerts. 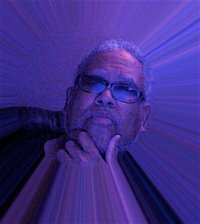 Later I found out that he was Wendell Williamson a former announcer and Producer at WHUR. It wasn't until his passing this week that I found out this guy was more than just a radio man but a musician (sort of like my own story.) But, Wendell and his band went a lot further than my musical journey. He persuaded LA Reid of then LaFace Productions to give the band a look. They also were finalists on "Natalie Cole's Big Break", an America's Got Talent type of television show during the late 80's that featured then unknowns like and R. Kelly & MGM (the predecessor to R. Kelly & Public Announcement) and a band who knocked out Wendell's group featuring a brother and sister who named the group after the brothers middle name "Benet", yup, Lisa Jordan and her younger brother Eric Benet Jordan. So, I found out that the quiet big man in the shades was a pretty deep brother and he'll be missed by many. YOU CAN'T WEAR WHITE UNTIL NEXT SPRING! I am sure the people I write about this week were told that "You Can't Do" whatever it is that they do! I'm also sure a lot of people are glad they did. I began my final week of wearing white visiting some different places. I found myself going underground, you know, below the radar where I could put on the same white clothes for seven days and no one would know that I repeated my wardrobe. I started at the legendary Blues Alley in the heart of Georgetown. There was a show produced by an artist I had never heard of named Lala Hidatha. Lala and her band of 9 filled the small venue on a Wednesday night for the 8 and 10pm shows. Hidatha, a Washington native, started a little slow vocally, singing a couple of cover tunes. I wasn't sure if it was a bad case of the "pre-show jitters" or just the perils of an 8 o'clock show. She picked it up in a hurry when she did her own music. Lala slowed down the tempo and interacted with the audience, filled with a lot of family and friends. The band was tight and her background singers sounded good as a unit, the strongest being the male singer. 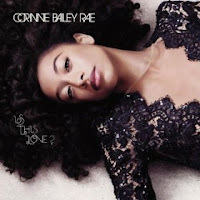 Her style is what I like to call "Modern or 21st Century Blues" which puts you in the mind of Vivian Green, except Lala's strong alto voice has more resonance. She belted out a few songs that the room grooved to. The song that stuck with me was an original entitled "This Is Me," a sort of reggae rocker from her album "My Thoughts, Vol. 1" which she did sell after the show. I had a chance to talk to here after her set, since I have never heard of her before and couldn't find her on CD Baby or any of the other music websites. I needed to know more about this mysterious artist because after all, I am KNOWWAX! I introduced myself to her mother who, in turn, introduced me to her husband (the bands guitar player and Musical Director) who led me upstairs. Ms. Hidatha was all smiles as she got ready for the next show. She filled me in that she got her "Lala" nickname at an early age following behind her mother singing. You see, she's the daughter of a mother who sang for some time with the Adam Cole Gospel Singers and Lala herself puts in work at the New Birth Missionary Baptist Church of DC, singing in their choir. So you won't find her on any of the local radio stations playlists (and maybe you never will). There aren't pictures or music of hers on the internet sites where you usually pick up your music, but you might catch Lala Hidatha cutting her teeth in spots like Blues Alley. "...a beautiful fusion of R&B, soul and jazz. Thought-provoking lyrics, delivered effortlessly in sultry, honey-coated alto." I just think it was a surprise to my ears! I've heard of the Columbia, Maryland native before but didn't take enough time to listen to her work. She has that something that makes it easy to listen. She only has one album which only has seven songs. Two standouts are "The Difference" and "Count It All Joy." 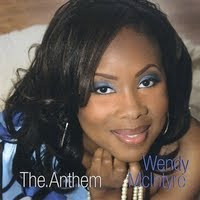 What's also great to find out is that this beautiful singer is in my family, the Zeta Phi Beta Sigma family! Blue & White!!! 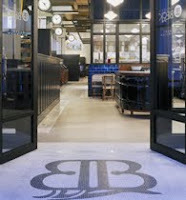 I took off my white jacket in order not to spill anything on it when I went to Chef/Owner Robert Wiedmair's Brasserie Beck at 1101 K Street NW in DC. Brasserie Beck isn't the newest restaurant to bless the District but it seems to be a secret to some of my peers, cousins, brothers and sisters but it shouldn't be. Besides, the French-Belgian cuisine is interesting and better than you will find at the DC hotspot Marvin's. Brasserie Beck has a bartender who knows his liquor too and he takes it very seriously. He was quick to point out to me that he put the drink menu together which was pretty exotic. After I gave him a compliment on his menu he let me sample some ginger vodka and a few other odd concoctions. If you are looking for a spot to hit late night, especially Thursday's through Saturday from 10:30 until closing during their late Happy Hours (you can get half-priced oysters and drafts), may I suggest Brasserie Beck. My stop at Beck's was short but enough time to take in a brew and some oysters. Then I promised myself that I would comeback with a few friends to make some noise and start my own party. It could be good for my (and your) lifestyle.